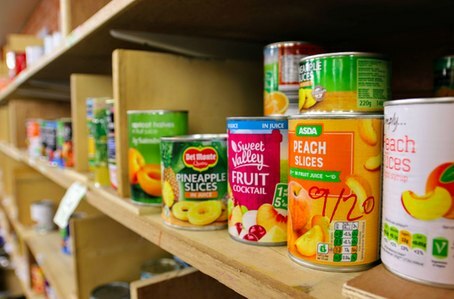 The South Tyneside Food Bank is run entirely by volunteers and is open two mornings a week on Tuesdays and Thursdays, to provide emergency help for people in the area facing food poverty. Please read on to find out how you can access or support the Food Bank. How do I get a parcel from the Food Bank? What will be in the food parcel? The food parcel contains a three day supply of meals including breakfast, lunch and dinner. Each parcel will contain enough food for those specified on the voucher from a single person to a family. These parcels include extra items over and above the basics, such as jam, biscuits etc as donations allow. What happens if I have a food allergy? This should be highlighted on the voucher which will be filled in by one of our referral partners. Please make sure that you highlight this to them or any other food preference eg. vegetarian. How do we get the food? Food comes from various sources, non-perishable, in-date food is donated from churches, schools, individuals and local businesses. Supermarket collections are another major source of our donations where shoppers are asked to buy an extra item or two for local people in crisis. Volunteers sort food, date it and shelve it, in date and product order so that it is ready to be made into food parcels for people in need. Parcels are made to a specific order ensuring that nutritional meals can be made from various ingredients. Toiletries such as toothpastes, deodorants, shower gels and sanitary products are also available and can be requested on the Food Bank Voucher. Can I use the shower and laundry facility? Yes, you are welcome to have a shower, get some clean clothes from our clothing bank and use the washing m achine and dryer. Can I have pet food in my food parcel? We have a limited amount of dog and cat food availble within our stores. Please add this to your referral and we will do our best to help. 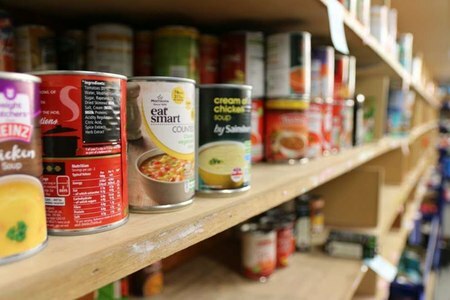 How can I support the Food Bank? We are grateful for any support you, your organisation or church can give us. If would like to donate food or toiletries or you are interested in volunteering then please see our How can you help page.